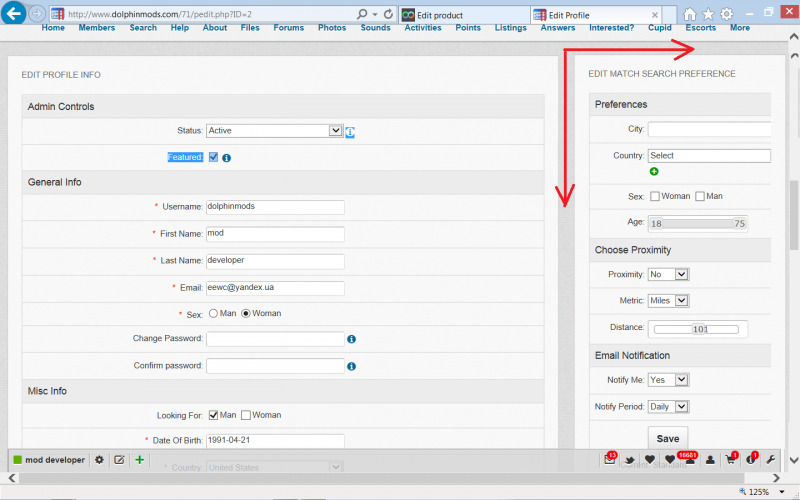 This module gives the ability for members to specify a set of Profile Criteria by which other members are considered as matches. This criteria can be based on any fields that are present in the Profile. The Administrator will decide which fields are available for use in this matching mechanism. This is a much more flexible mechanism than the default matching functionality that comes with Dolphin as it allows individual members to fine tune exactly who should match with them. 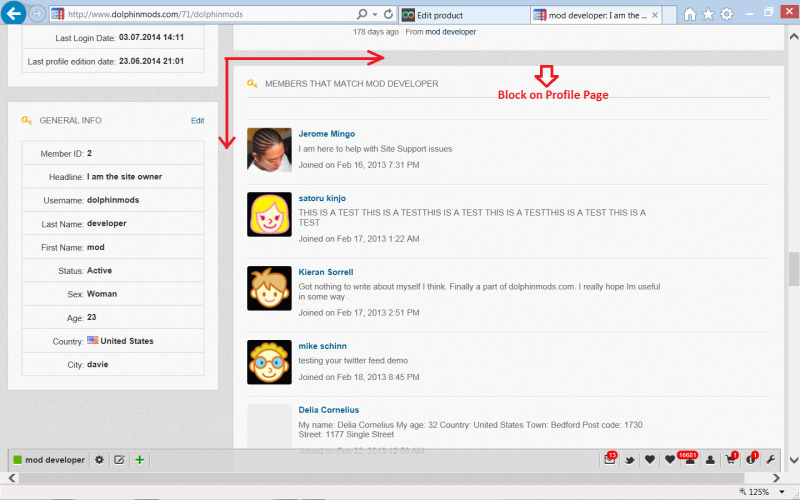 A Preference block is located on the Profile Edit page. 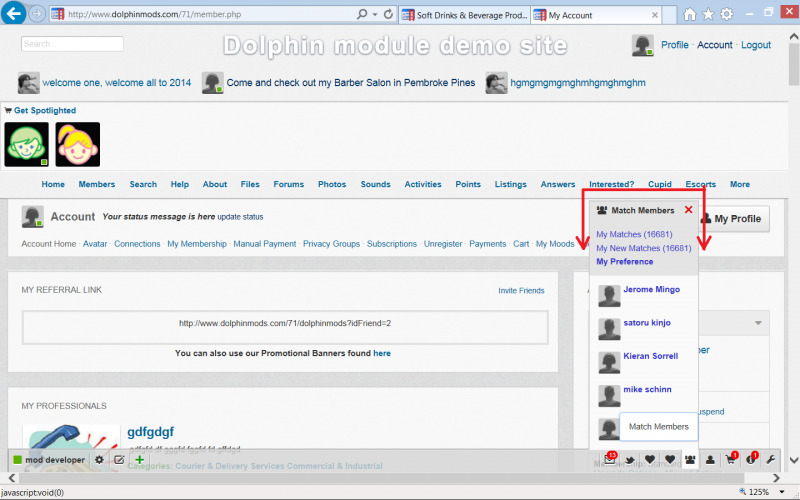 Each member can configure the specific set of members that will be flagged as a match. Each member has a page that displays all members that have matched with them. 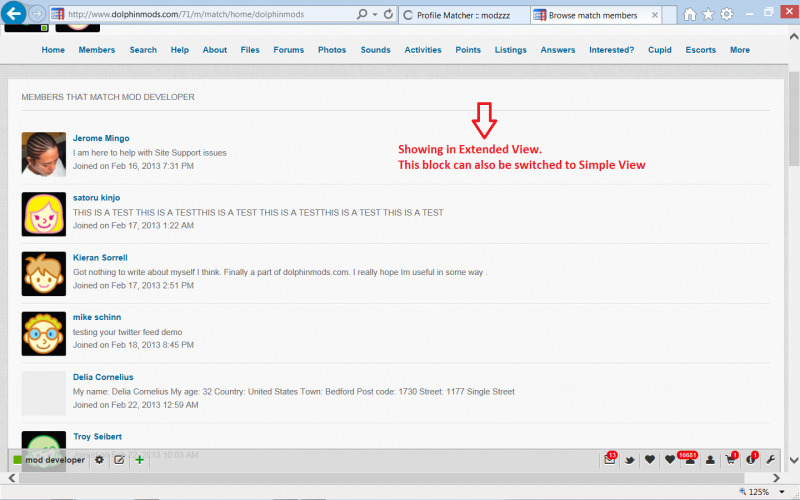 There is a block on the Profile Page that also displays all members that match with the Profile Owner. Members can choose to get notified by Email with an aggregate list of matches. Mailing period can be set to daily or weekly. In each mailing list, a member will receive a list of new profiles that has matched since the last mailing period. Absolutely brilliant mods from Modzz. Easy to install. Simply the best mods. Excellent mod. Allow members to grow their network. Easy to install and to use. Brillant!! !